Lewis County was born from the Mississippi River. In the 1830s, villages began to emerge along the county’s 23 miles of shoreline. The region grew as river towns, such as Canton, became destinations for trade and ferry crossings. But today, the steamboat boom is long gone. Even the last local river ferry closed last year. With a diminished economic connection to the Mississippi, many Lewis County residents now view the river as scenery rather than a source of prosperity. Construction at the public Mississippi River port in Lewis County. Martin is trying to change that. As director of the Industrial Development Authority of Lewis County, Martin is leading the effort to attract business to the county’s tiny—but growing—public river port in Canton. Missouri has 15 public ports along the Mississippi and Missouri rivers. The Canton port is the state’s only active public port north of St. Louis on the Mississippi. Three years ago, the development authority succeeded in attracting a grain elevator to the port. The business boosted activity and created about 10 jobs, not an insignificant number in this rural community. “These are head-of-household type jobs,” Martin says. In 2014, the port in Canton had a record year, shipping roughly 400,000 tons of cargo. This year looks strong as well. Today, Martin is considering an expansion at the Lewis County port, providing space for additional barges to dock and unload new products, such as powdered fertilizer or highway salt. Martin says his community is beginning to wake up once again to the opportunities flowing nearby. The port-based growth in Lewis County illustrates a statewide trend: Missouri is beginning to slowly drift back toward its river roots. 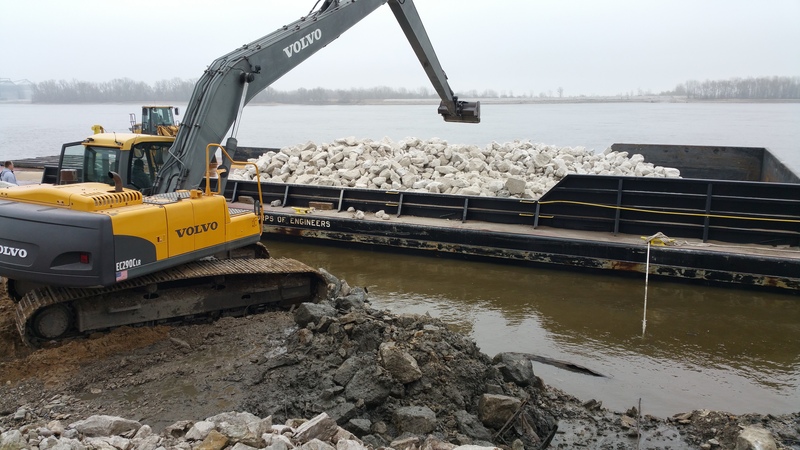 “We’re in a renaissance, of sorts, in terms of the interest in our ports,” says Bryan Ross, waterways and freight manager at the Missouri Department of Transportation. Although the 2014 numbers aren’t out yet, industry leaders say Missouri’s record-setting agricultural harvest last year led to record barge traffic. As port traffic increases, so does port employment. In January of 2015, 412 people were employed at Missouri’s public ports, an 11 percent increase since 2012, according to the Missouri Department of Transportation. In southeast Missouri, regional collaboration has helped build a thriving port operation just south of Cape Girardeau. In the late 1980s, voters in Cape Girardeau and Scott counties approved a temporary sales tax to fund the construction of a harbor, dock, and roadways for the struggling Semo Port, still in its start-up phase at the time. The investment worked. Now, the 500-acre port is home to six companies and ships 1.3 million tons of cargo per year. About 130 employees work at the businesses located on the port each day. Dan Overbey, executive director of the Semo Port, says the region’s long-term commitment to the port is paying off. 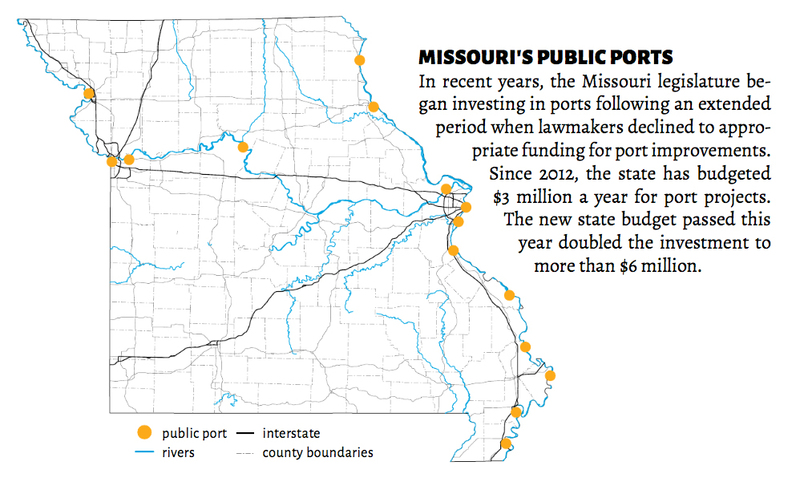 In recent years, the Missouri legislature began investing in ports following an extended period when lawmakers declined to appropriate funding for port improvements. Since 2012, the state has budgeted $3 million a year for port projects. The new state budget passed this year doubled the investment to more than $6 million. Port KC along the Missouri River in Kansas City will benefit from the funding increase. The port is receiving $3.6 million from the state to build a new rail connection, allowing goods to move from train to barge and vice-versa. 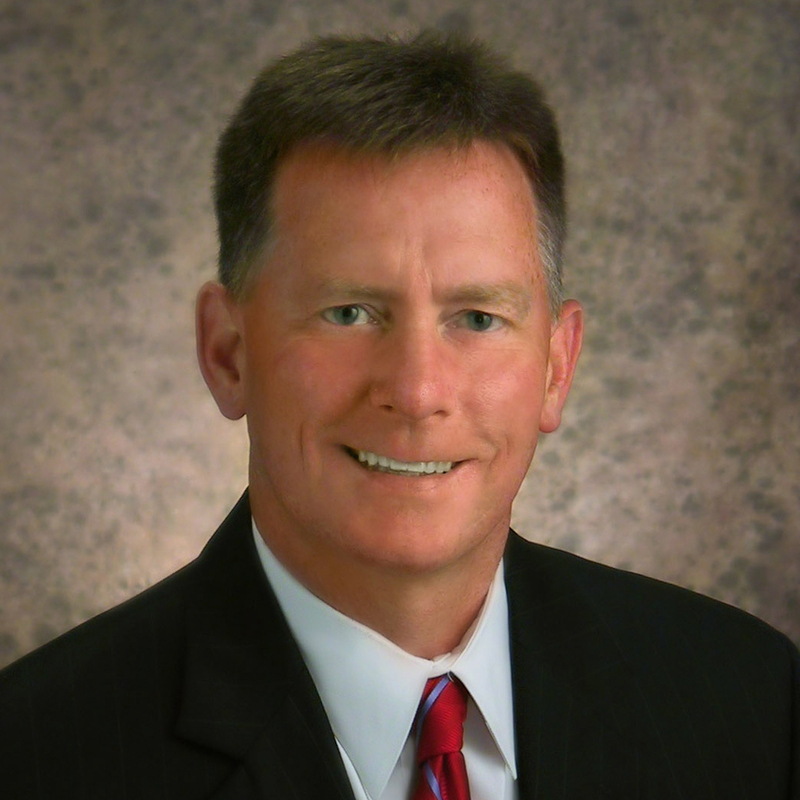 Once the new rail connection is built, Port KC President and CEO, Michael Collins, expects to see much more activity at the port. He estimates that the rail connection and a planned port expansion will cause shipping there to roughly triple to 750,000 tons of cargo annually. Collins says part of Port KC’s mission is to help its region reconnect with the Big Muddy. The port and a private developer broke ground on a $65-million riverfront development this summer that includes high-end apartments and retail space. Port KC’s $65 million riverfront development. The development, opening in 2016, will draw hundreds of residents to live alongside the river, complementing the thousands of Kansas Citians who visit the port’s riverside park for festivals and concerts. There is hope that the more time people spend with the river, the better they will understand the potential it has to help the region grow.